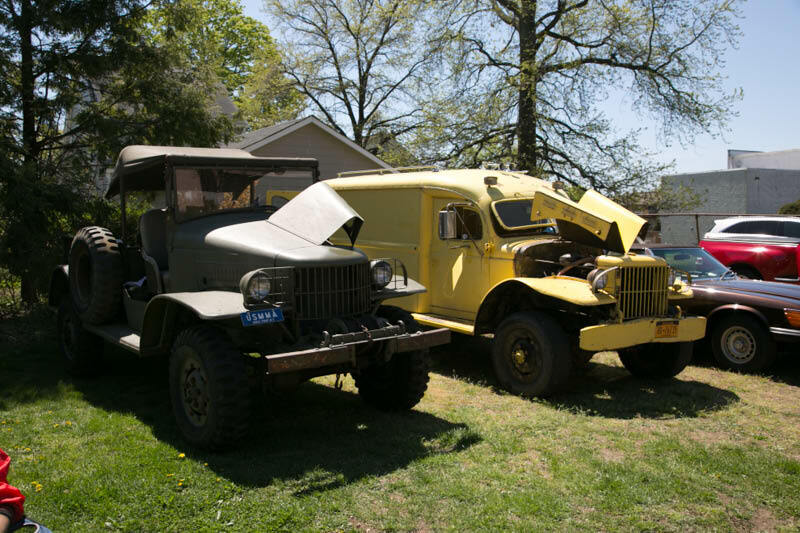 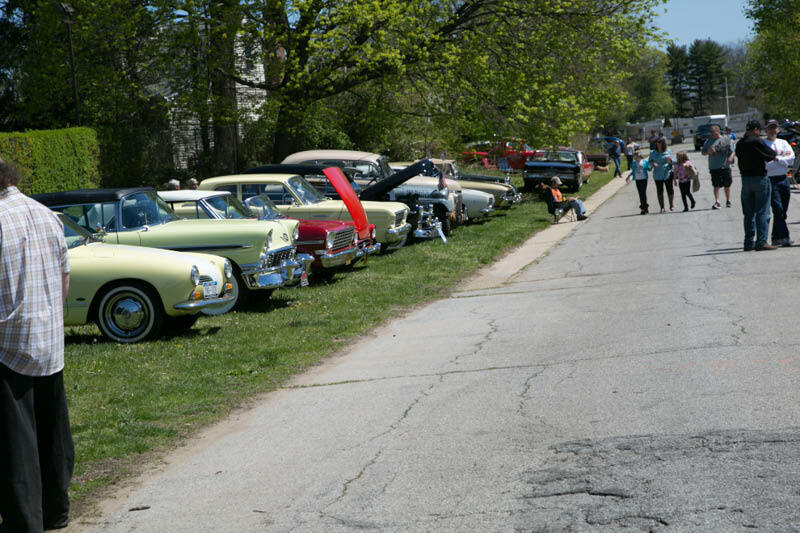 The very successful show, sponsored by the Greater New York Region of the AACA, was held on the preserved Williston Park section of the Motor Parkway. 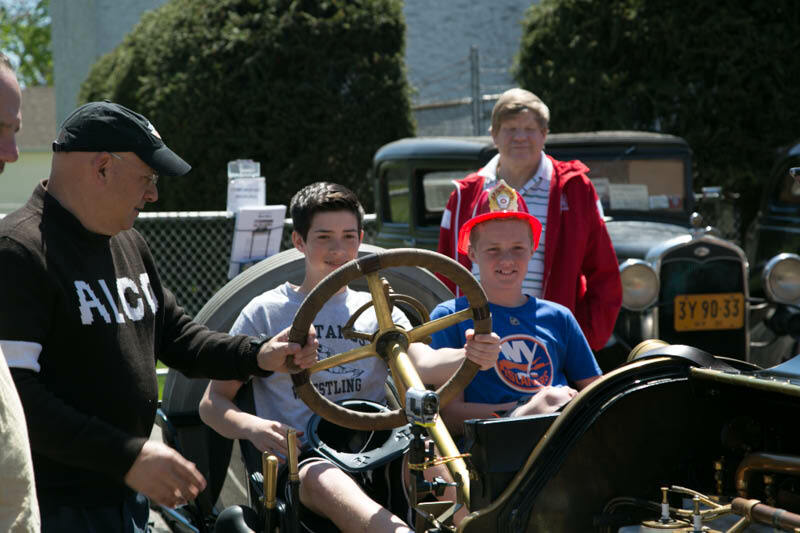 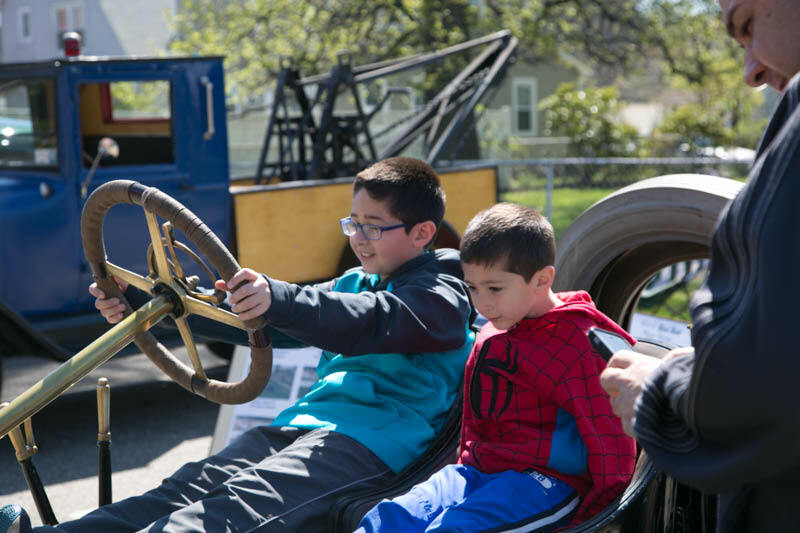 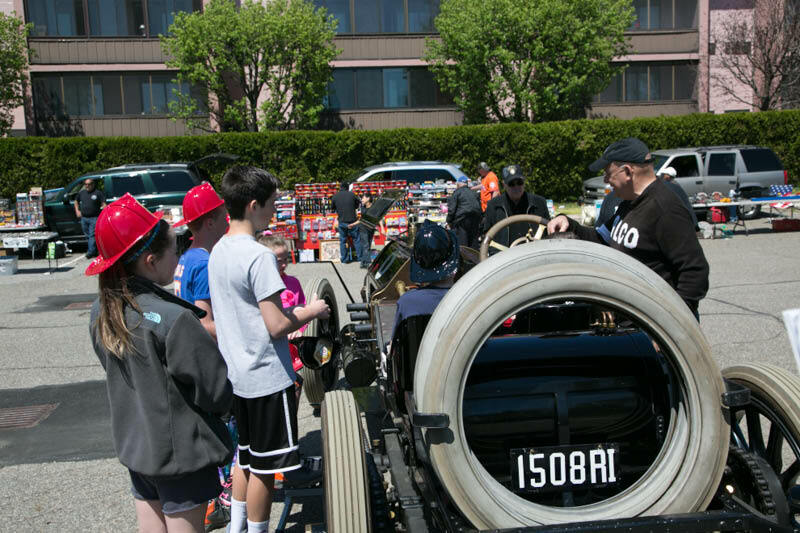 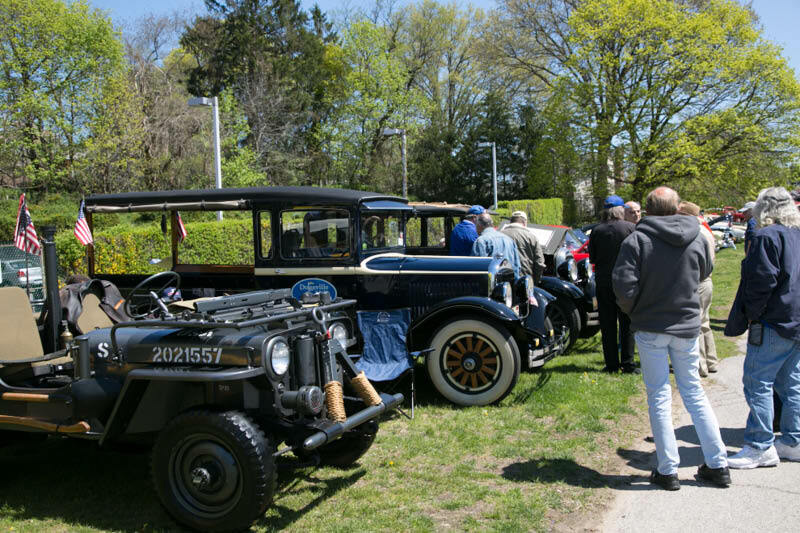 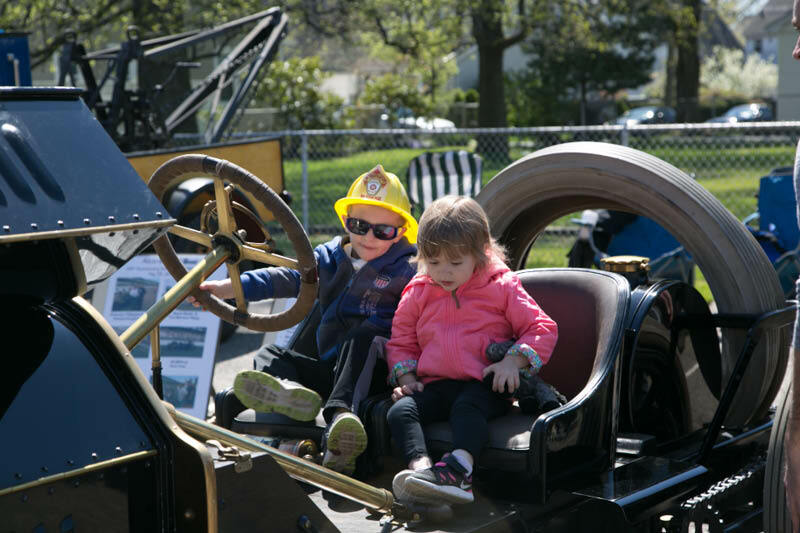 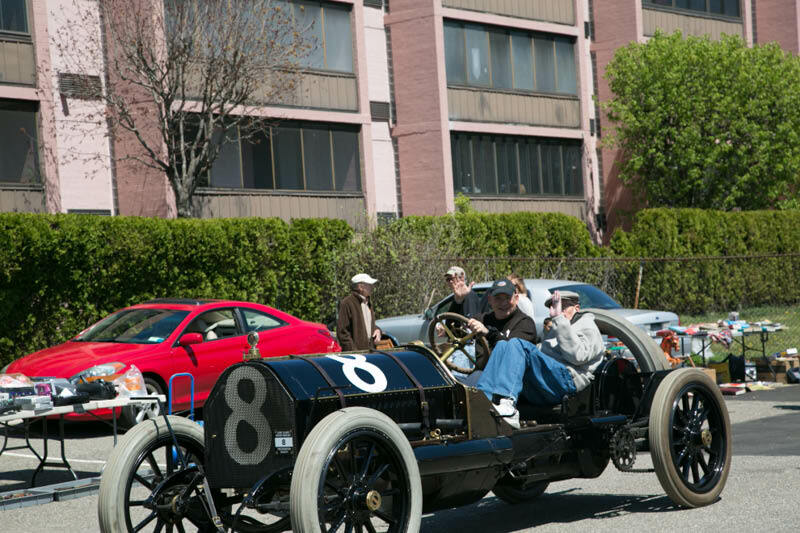 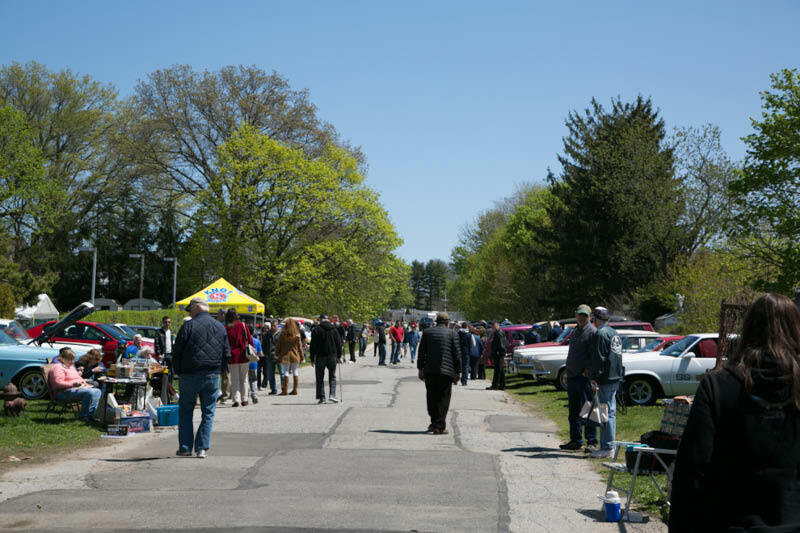 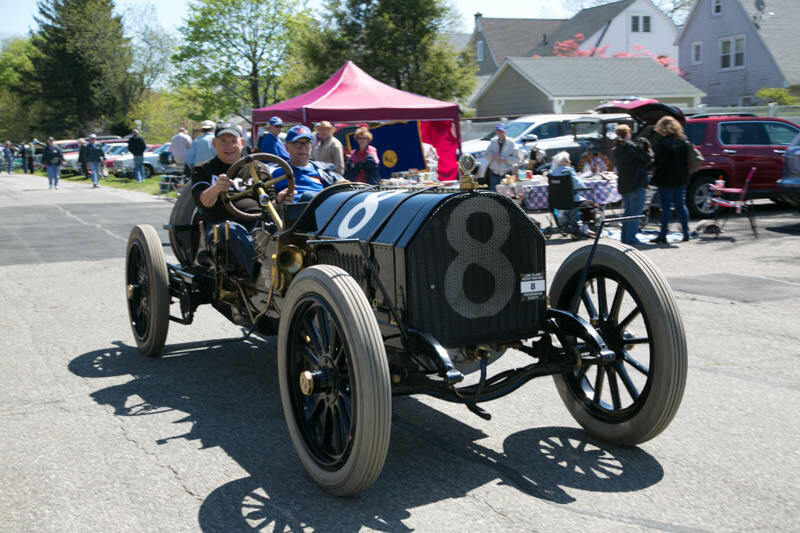 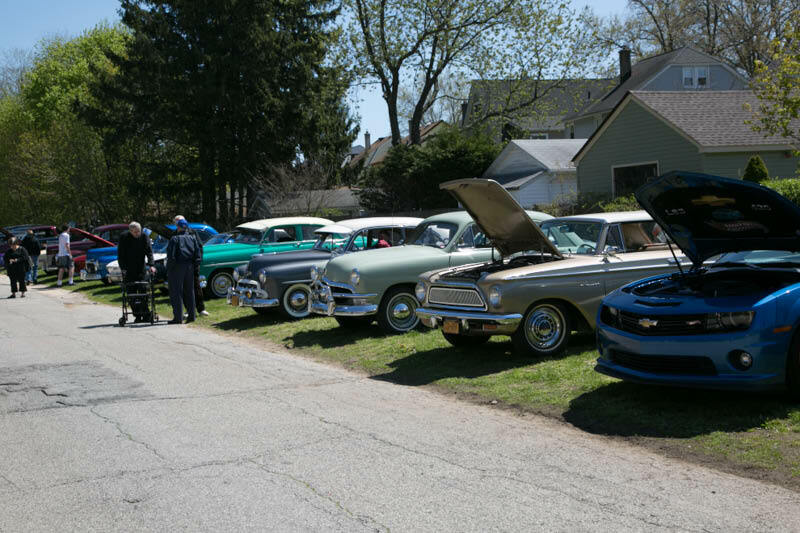 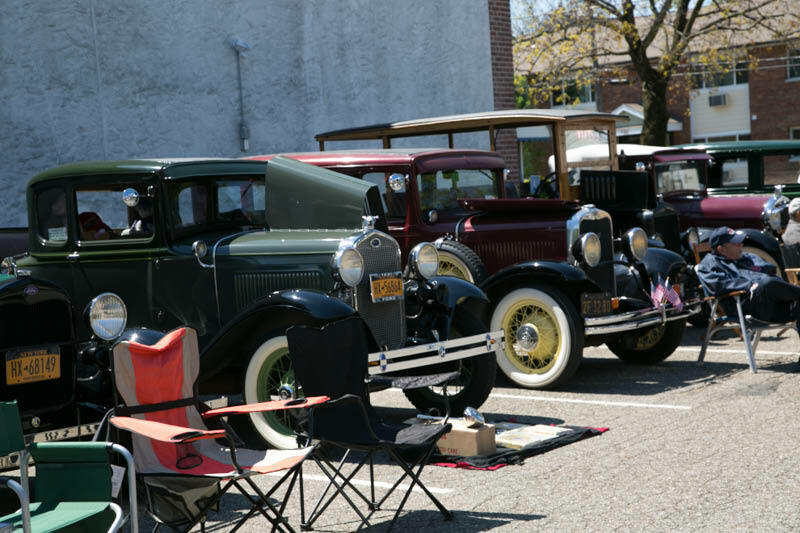 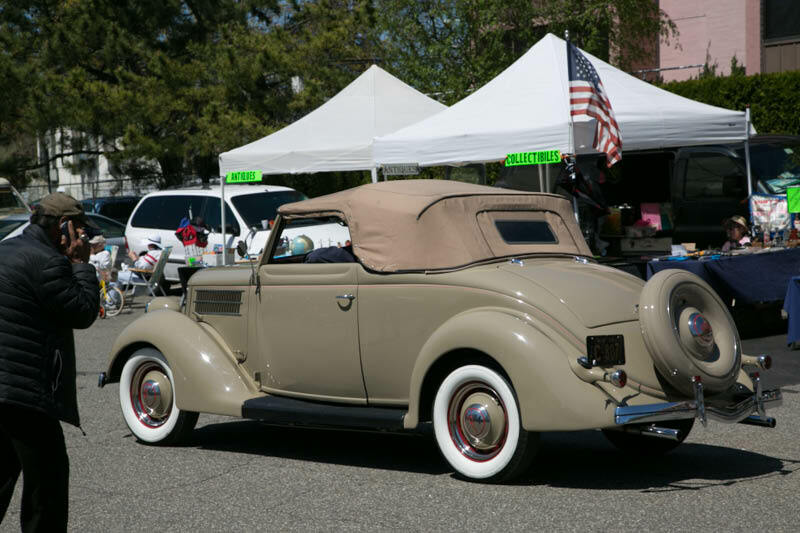 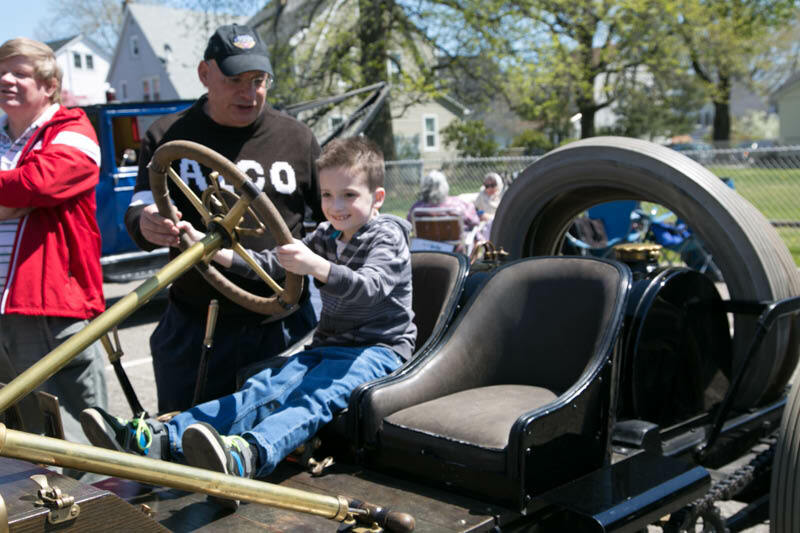 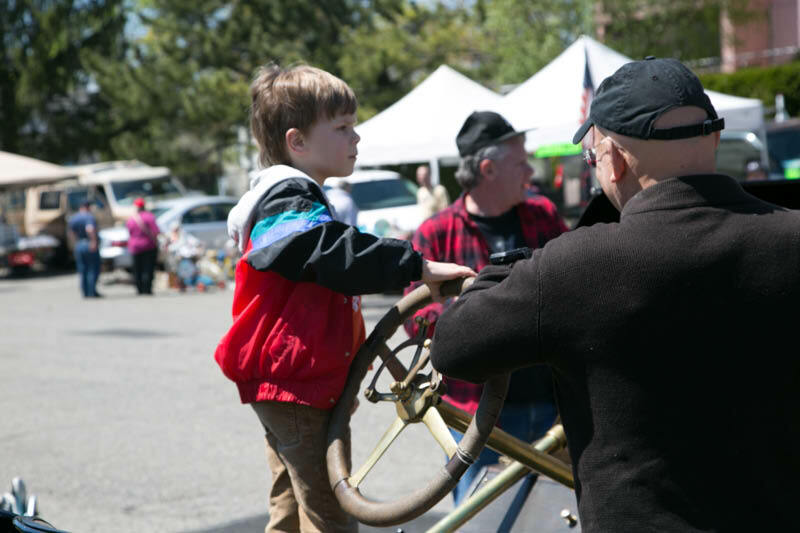 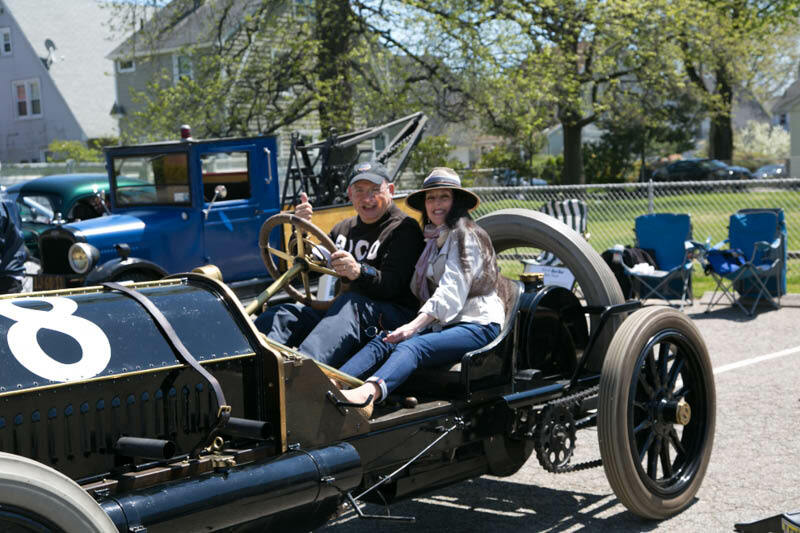 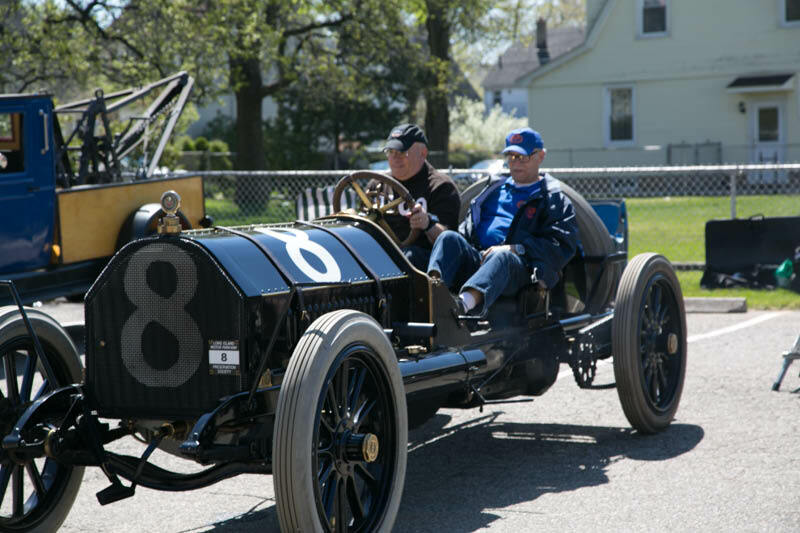 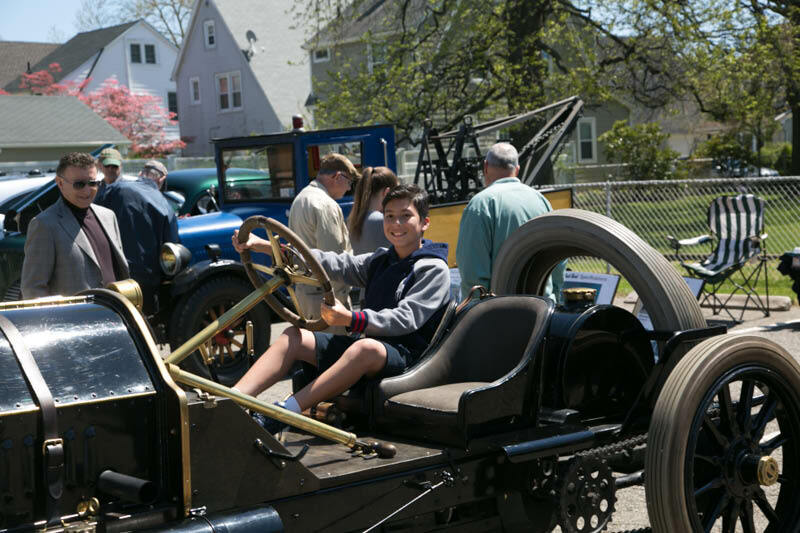 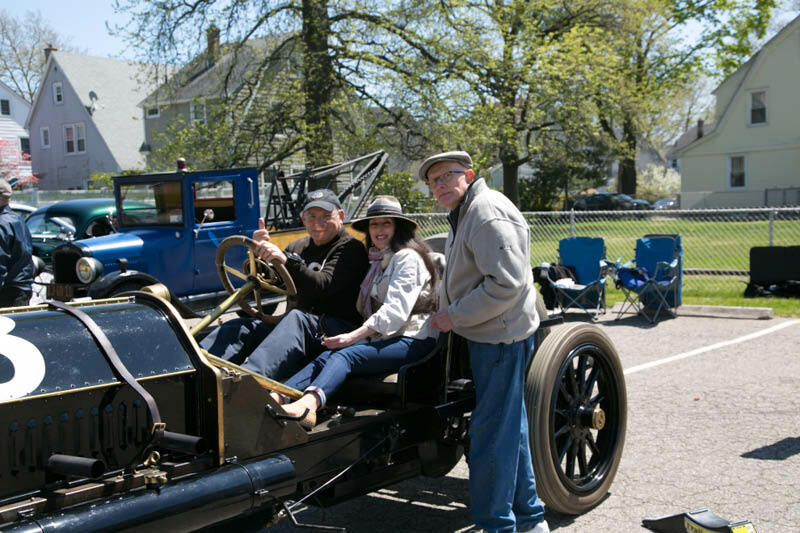 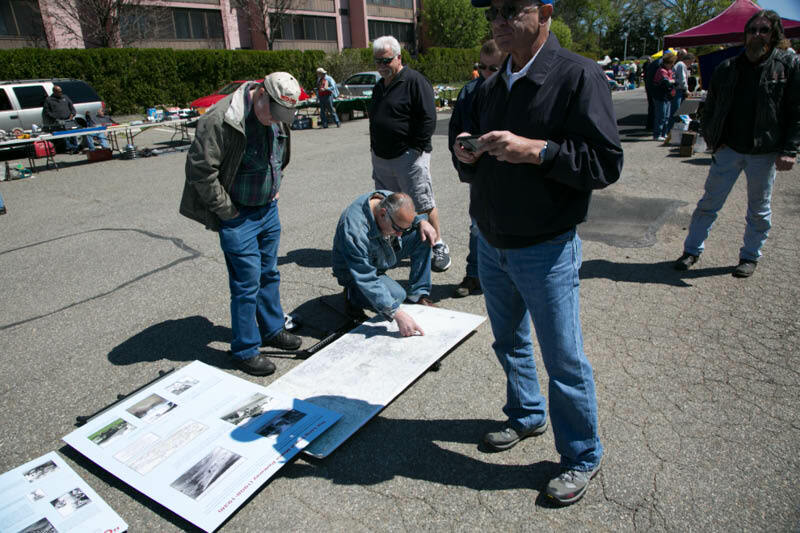 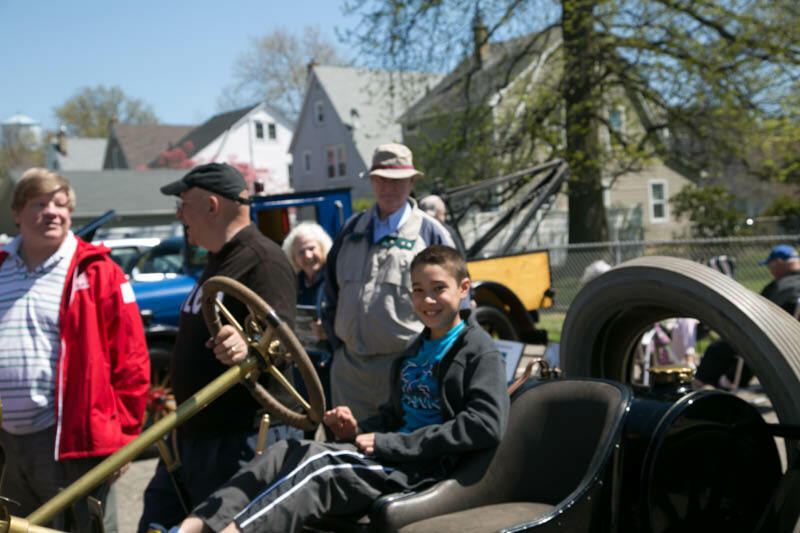 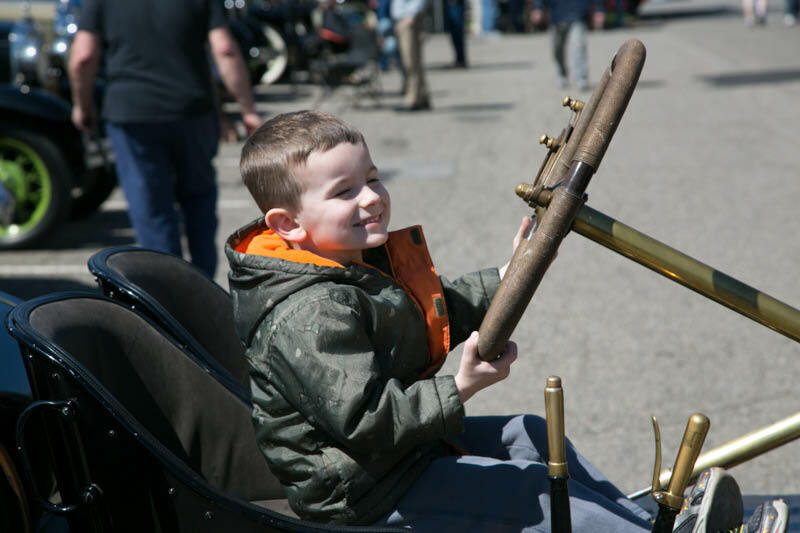 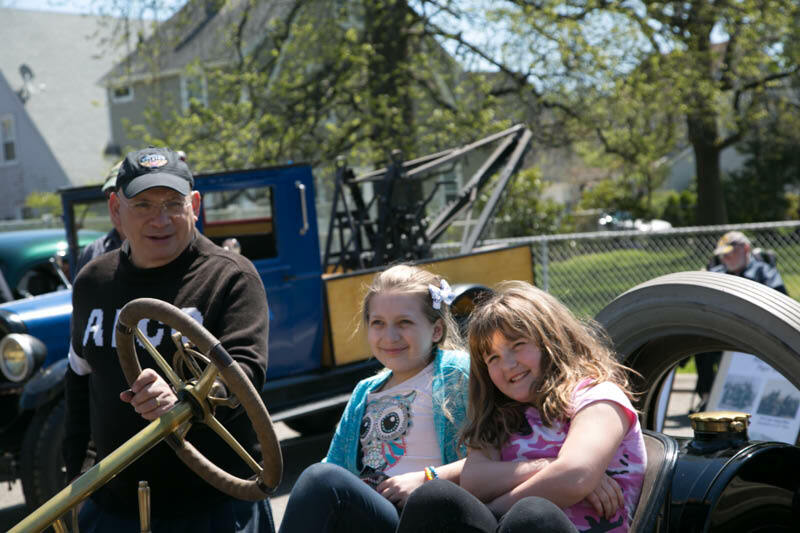 With over 100 vintage automobiles participating, the event drew hundreds of spectators on a beautiful day. 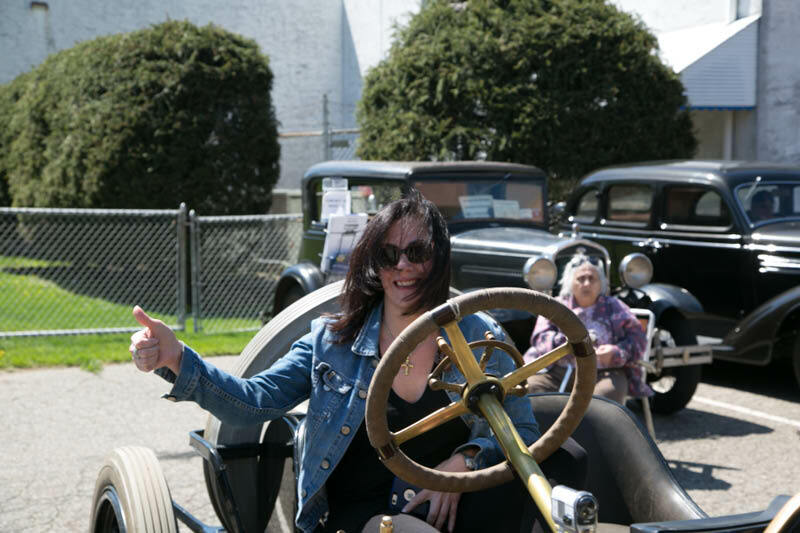 Smiles, thumbs-ups and highlights are below. 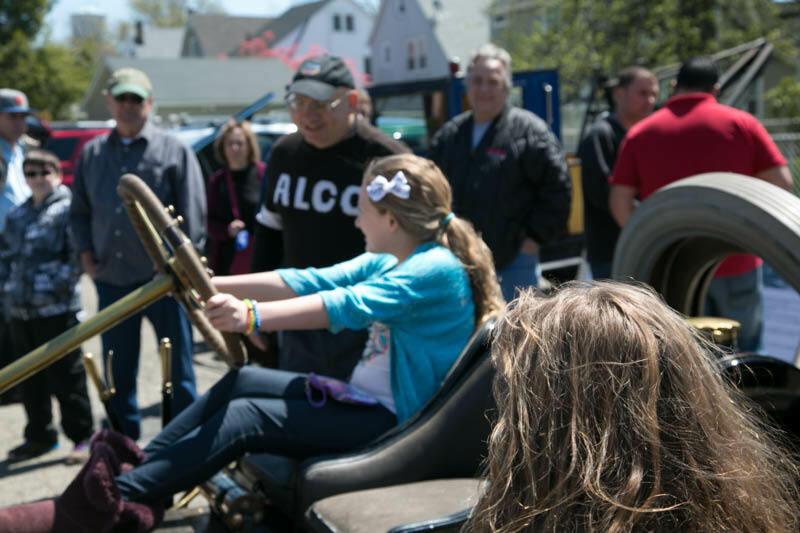 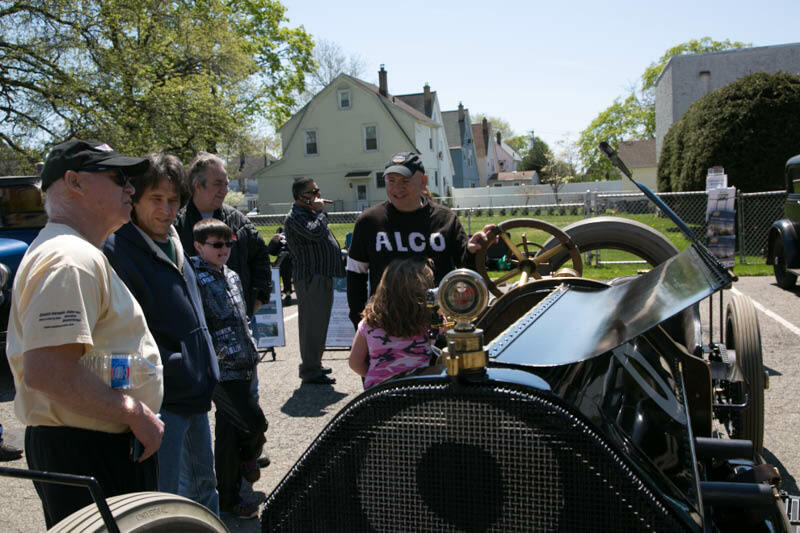 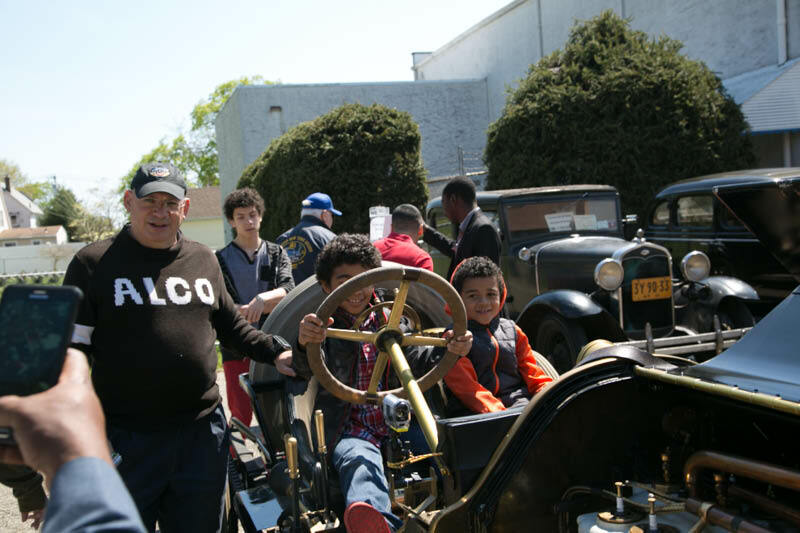 The Alco Black Beast was a big hit with all generations. 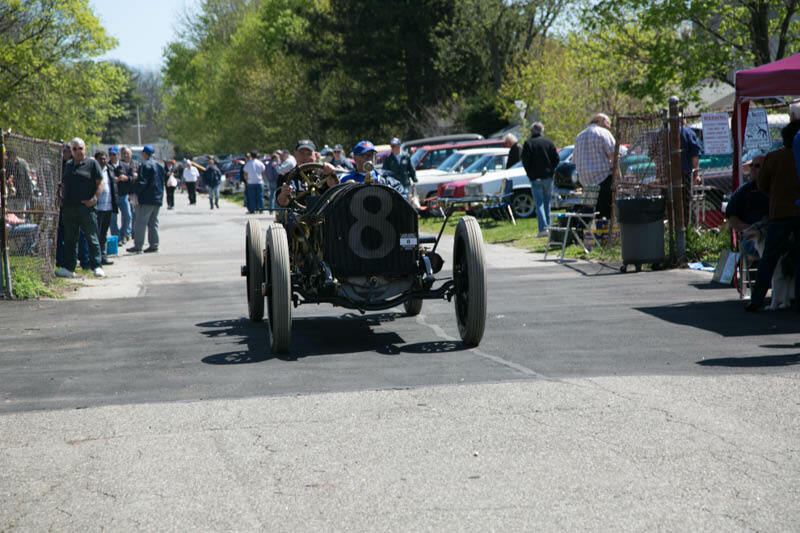 The Black Beast roared every hour! 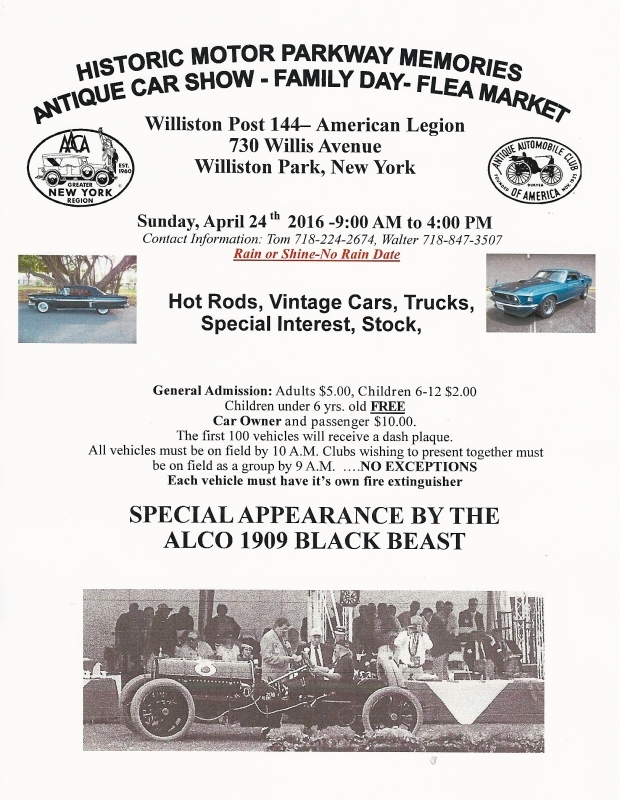 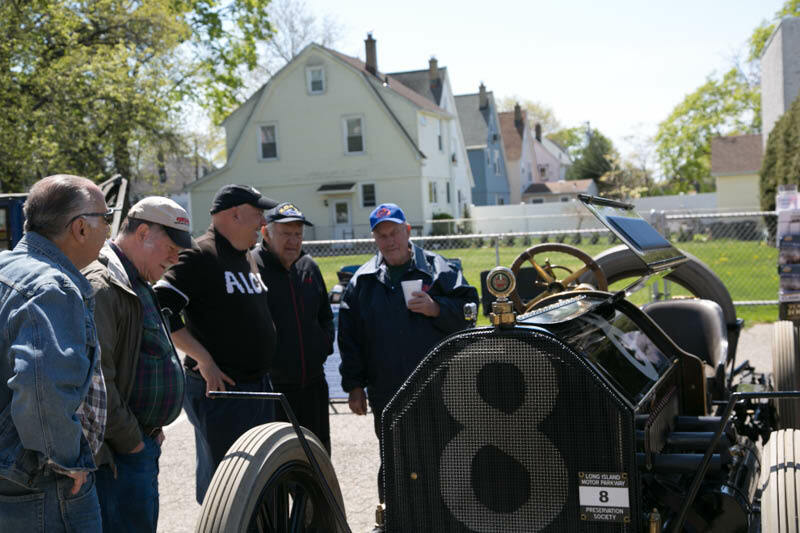 Posters on the Vanderbilt Cup Races, the Motor Parkway and the Alco Black Beast attracted a crowd. 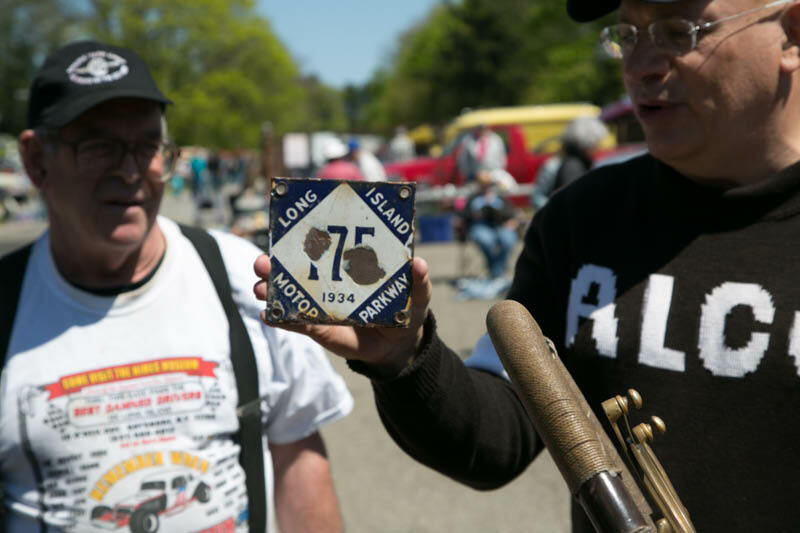 A Motor Parkway fan brought his 1934 E-Z pass to the show. 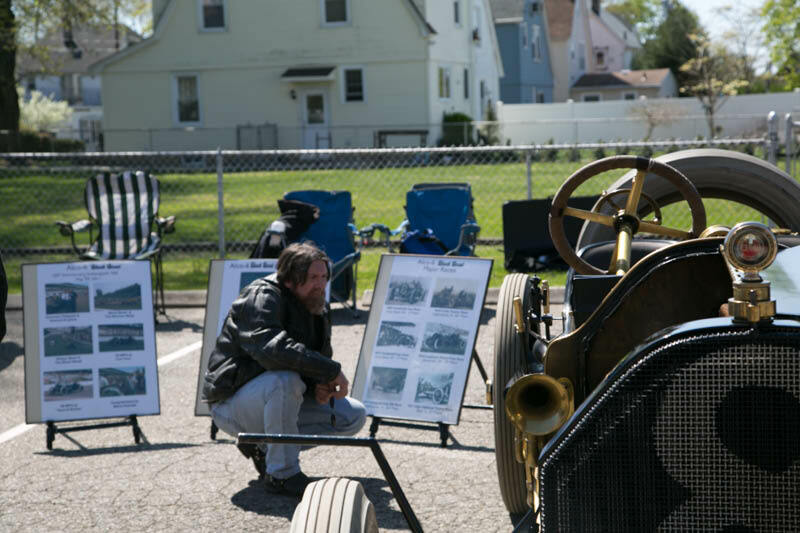 He was able to enter the show without paying a fee. 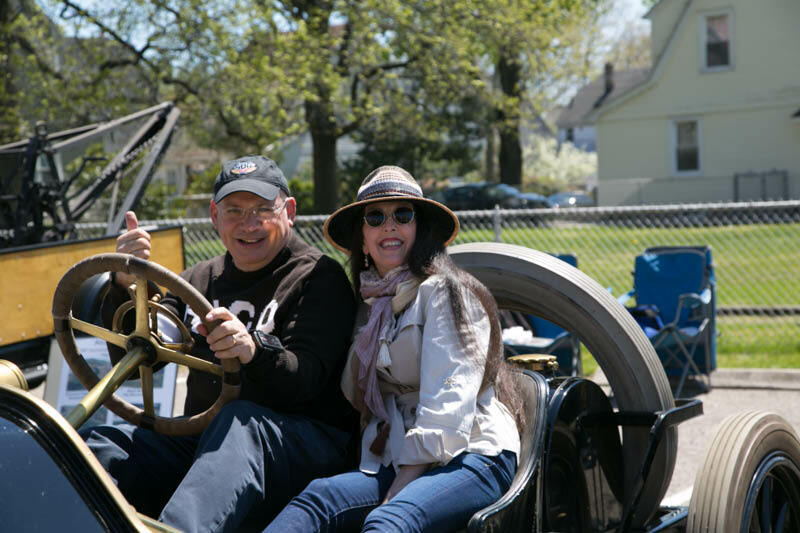 Several people received a special ride on the Motor Parkway. 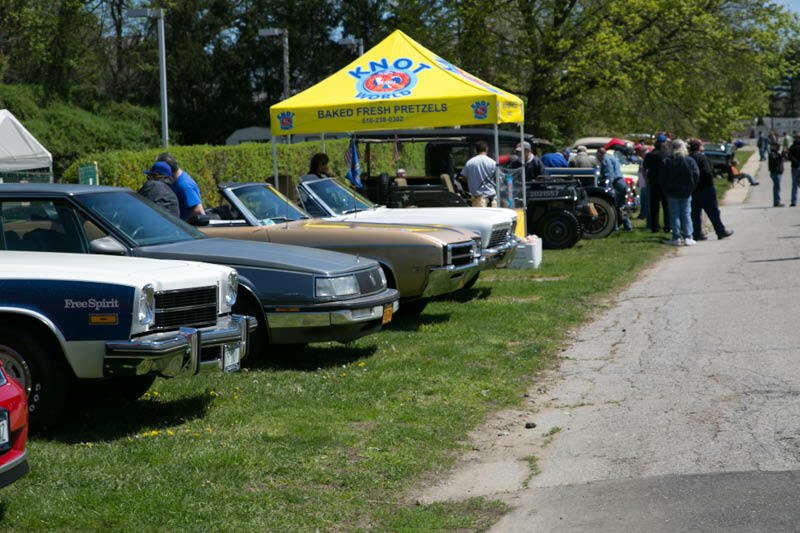 The three-foot concrete extensions on both sides of this section of the Motor Parkway are still in great shape. 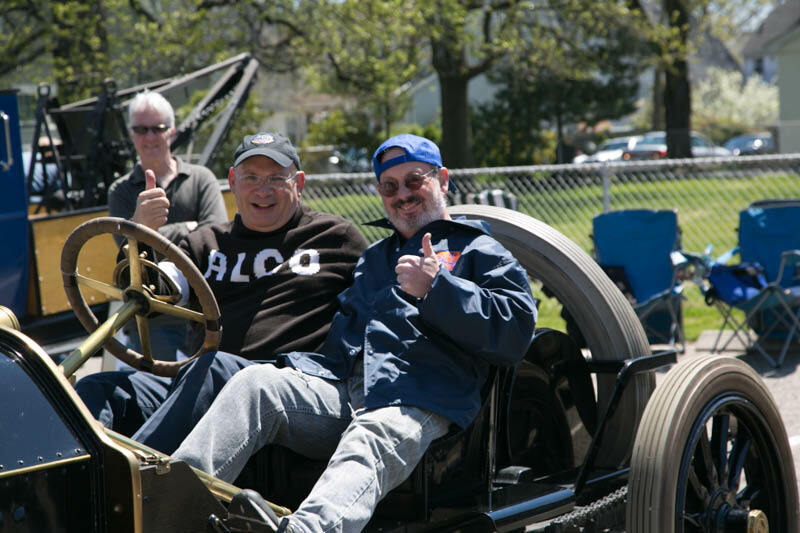 Thanks for your participation in our show. 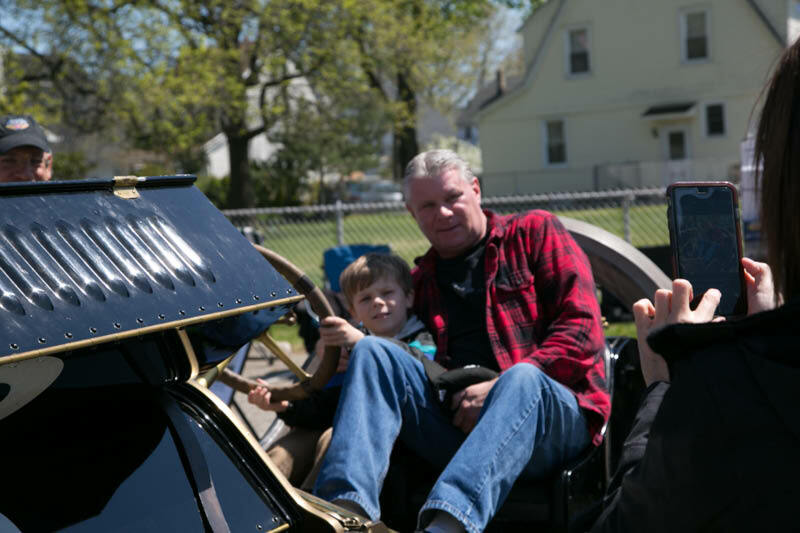 The black beast rides again! 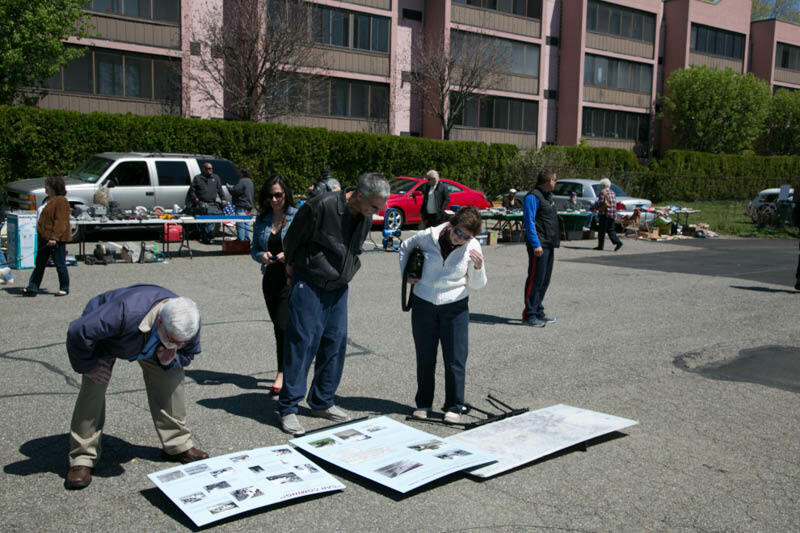 Congratulations on the Motor Parkway Show! 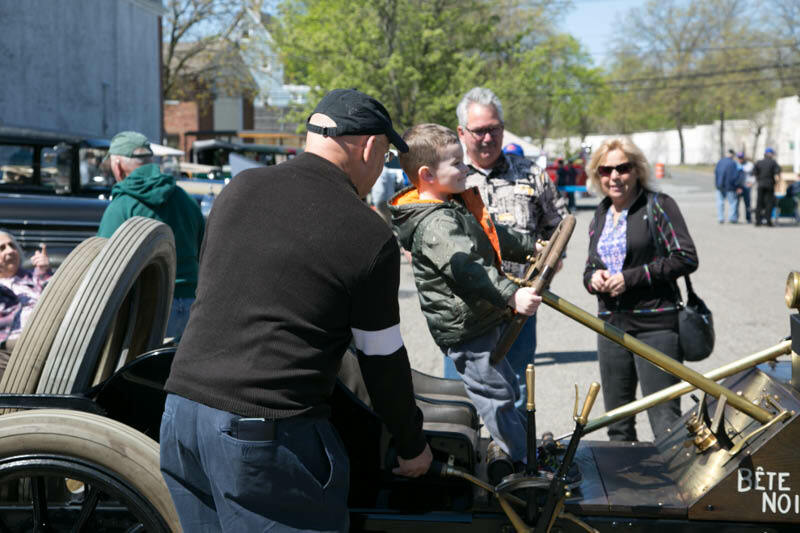 You have done so very much to bring forth interest and knowledge of the Parkway and those who raced for the Cup and those who built the Parkway.